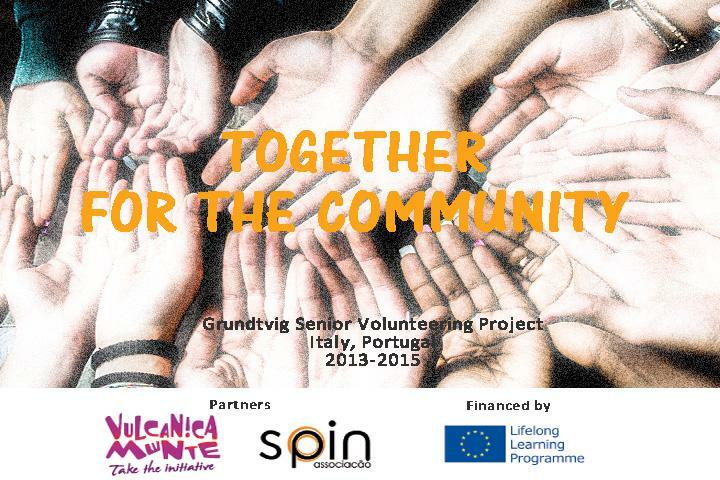 ﻿PROJECT "TOGETHER FOR THE COMMUNITY"
﻿“Together for the Community” is a senior project Grundtvig of collaboration lasted two years, which involved two international organizations: the Portuguese association Spin and Italian VulcanicaMente. Both agencies have sent and received a total of 8 senior volunteers (Italian and Portuguese) for a period of four weeks, between Lisbon and Lecce. The volunteers were involved in the activities and projects developed by the host organization, especially in the field of community work, the dialogue between generations and management of international projects. They also had the opportunity to develop and implement personal projects related to these or other areas of interest of the association host (learning and intercultural dialogue, human rights, social inclusion, etc.). The most important aspect of this volunteer service is the direct and constant involvement of volunteers in the local community. During their stay, they came into contact with children, young people, adults and other seniors. In this project, the volunteers got to live and to experience a different culture, to understand different lifestyles, as well as to acquire certain skills and tools useful in community work, to understand the functioning of NGOs to improve their intercultural communication skills and learn the basics of the language Portuguese/Italian. This project also significantly facilitated the exchange of ideas and practices between the two partner associations. Booklet: “I rimedi della nonna- Os rémedios da avò” a bilingual publication containing tips wisdom that many of the younger generation no longer know. 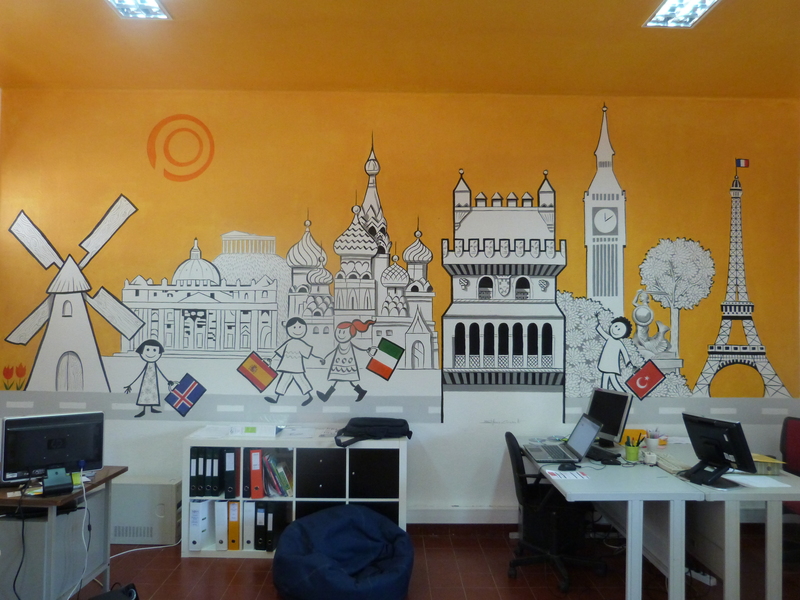 Painting a wall and reorganization of space at Spin: the painting on the wall serves not only as a decoration office, but promotes international mobility, respect and equality. It has stimulated discussions with visitors and is very useful for making children and youth of the community on cultural diversity. 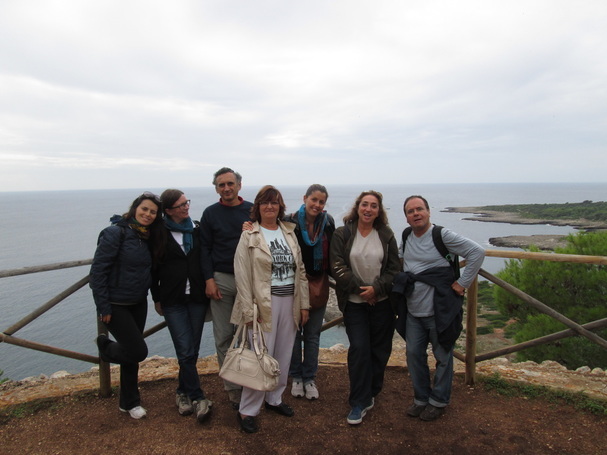 Trilingual​ blog, foto and video: During their stay the volunteers were responsible to tell their experience on the project blog. Some photos have been published by the Spin, you can visit here, others in the gallery of Vulcanimente. They were produced two short videos, which you can see below.